The forthcoming third part of the Chaos Core series, a spin off of the Spinward Fringe series that you can start for free by downloading the first book: Trapped: Chaos Core Book 1, is up to chapter thirty five on Patreon. Savage Stars is due for release everywhere quality EBooks are sold in November of this year, but many people are reading it already as a serial. After looking at the next plot arc and where we are in the story of the limited series, I've decided to continue Chaos Core as a serialized story on Patreon as I work on other projects, so it's likely that it'll go on well into next year. The good news here is that if you like Chaos Core and Spinward Fringe, you can read two chapters a week and there will be regular releases every forty or fifty chapters. After coming to the end of one of the biggest plot arcs in the series, I'm looking forward to digging into what's next as Spin leads us into... well, I won't spoil it, since there's another major decision coming up for her and her crew. The character development that takes place in Savage Stars is essential to the rest of the series, as is the crossover between the Spinward Fringe series and Chaos Core. That's right, a character everyone knows from the Spinward Fringe series crosses over to Chaos Core. As you would expect from a Spinward Fringe character, they bring... complications. So, I hope you take a look at all the free content on Patreon right now, even if it is just to get a preview of Chaos Core Book 3. As soon as I have a real cover and release date set, you'll see another post! I'm cover shopping right now, so that'll be soon. 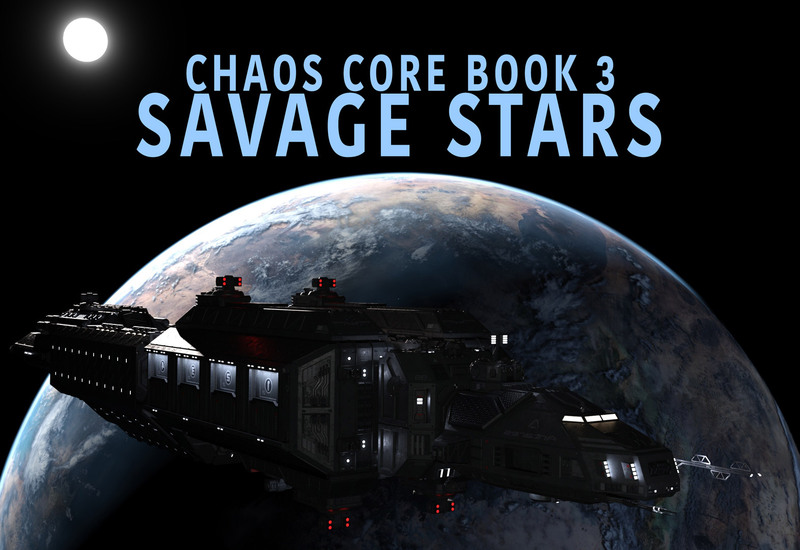 Check out Savage Stars: Chaos Core Book 3 Here.